CAIRO—A committed and courageous journalist, Ali Mustafa died for the values he demanded the world engage with.Ali was killed along with seven Syrians on March 9, 2014 during a bombing raid on Aleppo by Bashar al-Assad’s forces in Syria’s unending and horrifically bloody civil war.From depicting Israel’s occupation of Palestinian land and the segregation of its people to Egypt’s revolution and iron-fisted counter-revolution, Ali was unflinching in his depictions of injustice and peoples’ struggles for freedom. However as a freelance journalist with no institutional protection nor even a bulletproof vest and helmet, he went into the field as vulnerable as those he covered. It was these conditions that forced him to pay for his commitment with his life.I only knew Ali in person briefly but we knew each others’ work and had been in touch often. We were like minds who understood each other and instantly became friends when we met in the Middle East. Like Ali, I was a student activist in Canada supporting the Palestinian struggle. Our experiences brought us both to the Middle East with little more than laptops and cameras to report on the oppression we demanded Canadians do something about. The last time I saw Ali was in Cairo over the October 6, 2013 weekend when security forces massacred over 60 people. Cairo was hectic and Ali, as often happens when one is freelancing, was broke. 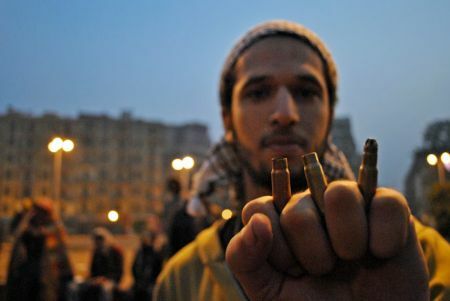 He hadn’t worked since his camera was taken by security forces as he shot the August 16 massacre in Ramses Square. 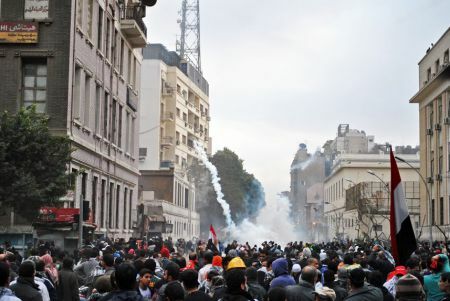 He was becoming increasingly anxious about the crackdown in Egypt, in which the media had become a prime target. Nonetheless, Ali borrowed a camera and we went into the streets, through the military checkpoints that were everywhere, to cover the protests as they swelled and as the army cracked down. Fear of Egypt’s security forces was taking its toll on Ali and he was visibly nervous whenever we were near police or checkpoints. After the protests he told me about his disillusionment as time and again anti-coup protests ended in a sea of blood. He was looking for a way out of Egypt where he could continue telling the stories of those who need to be heard. Ironically, Ali felt this could only be done by returning to cover the far more intense violence in Syria, where he had previously been reporting. I warned him that all my friends who had reported there felt it was too dangerous to go back at that point and that no networks were willing to risk sending their correspondents there. But Ali was undeterred. He fully understood the risks. He was committed to those he had met in Syria and believed that he had more protection behind rebel lines than in a country where the state now asserted unquestioning dominance. Ali also felt that reporting from Syria was the best way to make a more stable income and bolster his career. The choice of taking extreme risks for a paycheck is often a necessity of working as a freelancer in conflict zones. As a journalist in a region where social struggles and popular demands are met with war, spectacular violence and oppression, I often see people I meet die or be unjustly hauled off to jail. But no death since I came to the Middle East has hit home like the loss of Ali Mustafa. It is not just that he was an amazing person and a good friend. Nor is it the realization that it could have been me in a different context. Ali’s killing forces us to acknowledge that the price he paid is a possibility for anyone who thought like we did back home, but who ends up here because of the values we share and are unwilling to compromise on. Jesse Rosenfeld is a Canadian freelance journalist based in the Middle East since 2007. Previously based in Ramallah and Tel Aviv for six years, he currently resides in Cairo. He has reported for The Nation, The Guardian, The Daily Beast, Le Monde Diplomatique, Foreign Policy and the Toronto Star among others. Ali’s photography, film and writings can be found at alimustafa84.wordpress.com, a site dedicated to preserving and celebrating the legacy of Ali Mustafa in its many manifestations.